Punching Kill Henares is More Fun in the Philippines! Above is the fight of Manny Pacquiao today. 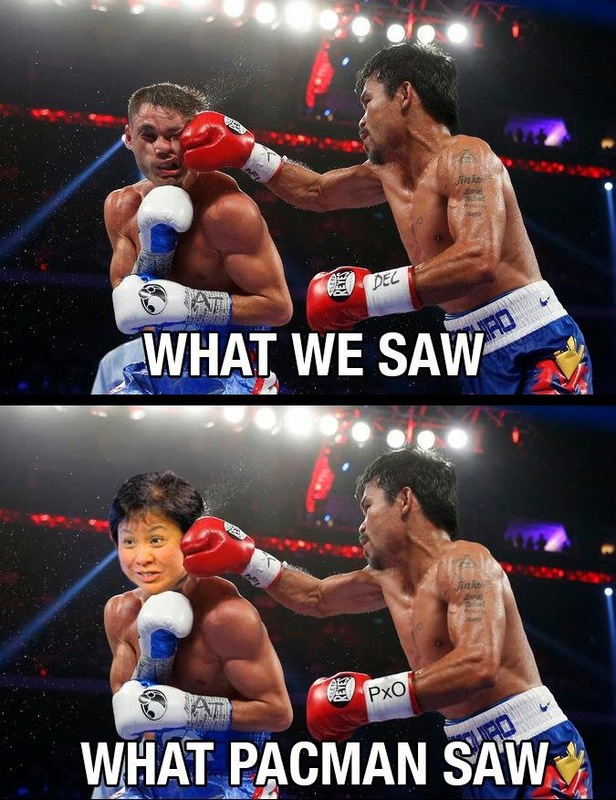 What boxing fans saw was the actual fight but what Pacman may have seen is seen in his fight was Bureau of Internal Robbery's Konsumisyoner, Kill Henares. It's indeed the fight of the century when you think about it... Pacman vs. Kill Henares. Filipinos NEED to see the truth of what's happening with their tax money with the Nobita Administration- it's being used for the dirty scams such as Disbursement Acceleration Program and Priority Devolvement Acceleration Fund. So what can be a fun activity to endorse in the Philippines? Simple... it's all about PUNCHING THE CRAP OUT OF THAT SWINE KILL HENARES. Plus, it's not helping that the United Nations is really nothing more than a body of incompetence. Only a real idiot would think President Nobita's administration is a global model for fighting corruption, that 60/40 not being removed and everything that the Philippines needs to improve. The United Nations continues to carry on STUPID policies like removing of caning and death penalty, tries to do with "human rights", etc. Isn't it any wonder why Kill Henares is appointed as a tax expert? Oh puh-lease.... these are reasons why it's really more fun to punch Kill Henares in the Philippines!